One of the first questions I hear from any trainer who starts a fitness business is how do I build a website? There is so much confusion about what tools to use and who to hire. What does it need to do and do I need to be an tech expert to use it? I get it, I’ve been there, I learned the hard way. Having wasted my time and money I decided to put together this updated Clickfunnels review 2018 to show you just how easy it can be when you know how. All without any tech skills and absolutely no coding or complicated programming. Ok then lets dive in. This is a long guide but I urge you to stick with it. You will have everything you need to get started and I will even give you free access to Clickfunnels so you can get started today for FREE! I am a great believer in learning as much as you can to help your business. Its a simple concept of investing in yourself by spending time or money. When I started my first fitness business Facebook was pretty new. The concept of digital marketing for a business like personal training hadn’t really taken off yet. With no budget and no real knowledge, I put together a Facebook business page and did some simple paid Facebook ads. Just to set the scene for you here. My gym was basically a garage in an industrial park with no facilities and almost no equipment. I had no tech skills and no marketing budget. What could go wrong? Despite these circumstances with some carefully worded Facebook ads I got my first few clients and got started. I tried a few different images and versions of my ad and figured out what worked best. I managed to fill a six-week fitness program with ten people. Most of these people became long-term members and I repeated the process again and again. This allowed me to build up a steady number of members and of course word of mouth helped to add even more new business along the way. Without even realising it I had created a sales pipeline for my business or as you may have heard it called these days a Sales Funnel. All that really is, is a sales funnel template to use again and again to make your marketing easier. You will notice I have mentioned Clickfunnels anywhere in the story so far. Well, there is a reason for that. What does this have to do with Clickfunnels? When I was doing all of this Clickfunnels hadn’t even been launched yet (man my life would have been so much easier if it had been around). So when I had managed to get enough members into my gym I decided I needed a website. These days I can build just about any website myself but back then I had no idea. I signed up for a drag and drop website building called Wix and built my first site. It was terrible. I couldn’t get it to do anything I wanted and it looked like it was made by one of my kids. Every time I wanted to change anything it took me forever and it just got so frustrating so I basically gave up on it. My customers and this is a key point my “potential customers” would ask me why my timetable and pricing etc was not available to view and buy on my website. So I took my second attempt at the process and hired a web designer. He was a great guy and gave me a reasonable price. But all I really ended up with was a slightly better version of my first website. After a week I needed to make a change to the class timetable and it was a major hassle. I spent hours trying to edit it and calling the web guy and it just gave me a headache. So yet again I was getting nowhere. My business was growing and I could tell I was missing a whole bunch of opportunity with new customers cause they couldn’t find what they needed on my website. I also no longer had time to mess around with the site spending three hours just to make a small change. So after a lot of hard lessons and being fortunate enough to have a growing business I finally found a solution. 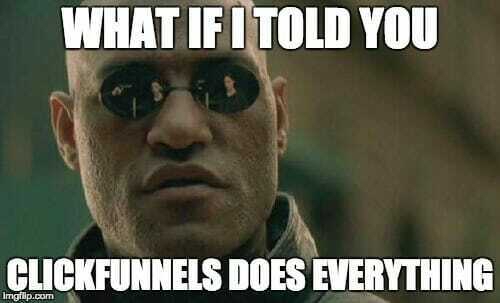 The solution which essentially is the very reason I wrote this Clickfunnels review. I came across Clickfunnels through a friend and I watched a video on how to use it. I was pretty sceptical at first but figured I would give it a go since I had tried just about everything else. All I expected to get was a basic website that would show my timetable, opening hours and pricing. I got all of that and man did I get a surprise when I discovered what else I could now do. What did I get by using Clickfunnels? Well, I got my website, I got my timetable and contact forms. What really took it up a level though was just how much I could do using this awesome tool. A Sales Funnel which allowed potential customers to visit my site and sign up to my marketing list and/or buy a membership or training program any time of the day or night. An exclusive members area that my members could log into and access nutrition plans, workouts and more. An online store that allowed my members to order and buy supplements, personal training sessions, clothing and more. If you are anything like me then right now your thinking this all sounds too good to be true and there must be a catch. Well, the only catch is you have to sign up to Clickfunnels and of course it’s not free. But considering the time savings and just how much you can do its an obvious choice from where I’m standing. So why bother to go into detail with a Clickfunnels review? When you first consider the prospect of a website it is very confusing. Add in things like a Sales Funnel and it really starts to get a little hazy. Why are some websites so cheap and others are so expensive? Will it do what I want? So the main thing I hear people say is ‘isn’t Clickfunnels to expensive?’ The standard plan is $97 a month. Well, I can tell you that you will spend at least that much on a basic website that doesn’t really generate sales or add any value for your customers. That doesn’t even count the time you will waste or the headaches a standard website will cause you. With all the features you have inside of Clickfunnels you can achieve things that would usually need a whole suite of separate tools and a web guy to try to make it all work. This takes time and you usually find out one part of the puzzle lets you down. If you currently spend time on any kind of advertising or marketing you will know that $97 doesn’t buy you much. 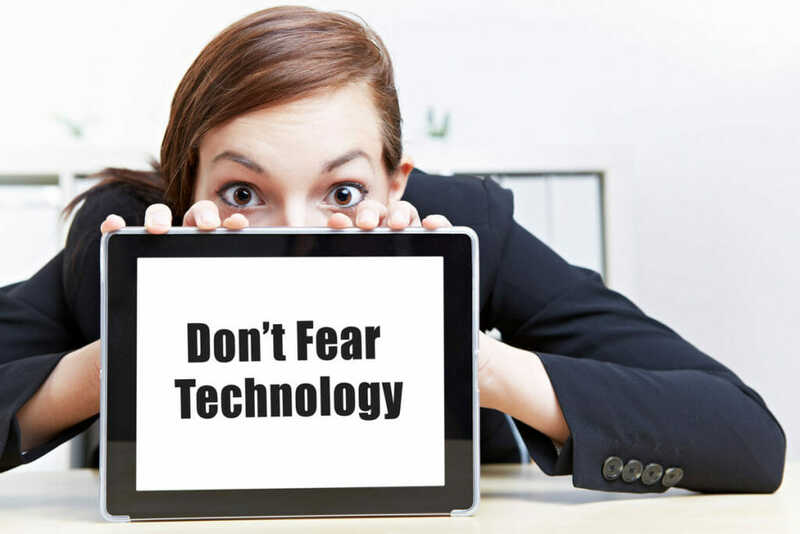 So if you can build an automated sales machine, professional web pages, members area and online store all included in that price wouldn’t you want to do it? I put together this Clickfunnels review because I want you to know about this now and not later after you have wasted your time and money. 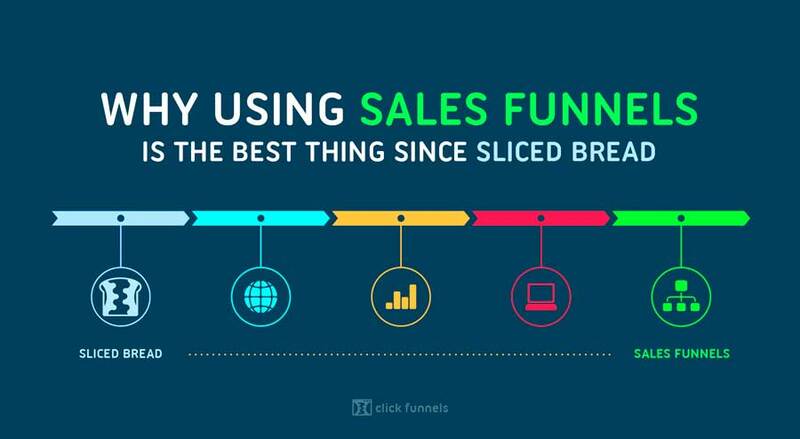 Sure I managed to fudge through without it but with the benefit of that experience I would snap up Clickfunnels from day one if I had to start again. Apart from the obvious things like the fact you will have a great looking sales funnel and website using Clickfunnels will save you time. I remember when I was in the early stage of my fitness business. I had to try and make time to market to new customers while running the gym, instructing classes, taking pt sessions and more. It just doesn’t work. 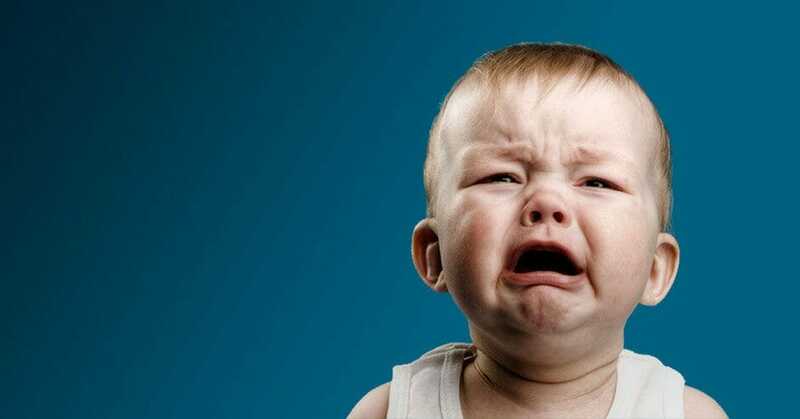 You can’t scale up with more customers without something suffering. By building an automated sales funnel new customers can come to your landing page from Facebook or whatever channel you want to use. They can find out about your products and services. Sign up for a free trial. Buy membership. Sign up for your exclusive training program and so on. All without you doing a thing. This seems like a lot and it is. Just remember this all happens automatically any day of the week without me lifting a finger. 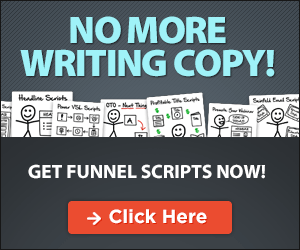 All I had to do was build my pages once at the beginning and Clickfunnels does the rest. There are several sales funnel templates to choose from inside Clickfunnels so you can quickly adapt these or create your own from scratch. With no tech skills at all, you can be up and running very quickly with basically done for you sales funnels without the hefty price tag. Personally, I used the upgraded version of Clickfunnels which is $297 a month as I feel it is well worth it. Having this package allows me to create email marketing sequences and automate just about everything when it comes to customers. It also allows me to have a referral program for my members. This is one of the most powerful and worthwhile tools you will ever have in any business. Backpack is part of the $297 plan in Clickfunnels. Put simply it allows your customers to get paid to refer new customers. This is the most effective way of recruiting more members and there is no better customer than one who has been personally recommended to you. Backpack allows you to give individual links to your existing customers who can then get new customers to use those links to sign up. This might sound strange or even complicated but let’s break it down for a minute. Let’s say your customer John is a really happy member of your gym. He already recommends you to his friends and family. Your gym membership is $50 a month (just an example). You tell John that for every customer he brings you he will get $10 (again just an example you can get this at whatever rate you like). You give John his links from Backpack and he can send them to friends, family, co-workers and so on. He generates 10 new members for you. John is happy as he just made $100 for just telling some people he loves your gym. You acquired 10 new members and boosted your revenue by $500 a month. You see how this works? Remember this is all without buying ads in local newspapers, radio or other methods. You only pay out when you make a sale. Its a win-win for everyone involved. The only difficulty is it’s usually really hard to track. Backpack and Clickfunnels makes it so easy its ridiculous. You can see how $297 a month suddenly sounds cheap when you realise just what you can do here. Apart from helping the customers find their backpack links, everything else happens automatically. You can focus on great training and customer service and managing your growing business. As you can already see Clickfunnels is super easy to use even with no tech skills. They provide a huge library with easy to follow videos and guides on how to do just about anything inside Clickfunnels. If you get really stuck they also have an awesome support team who jump on a chat with you and help you work through anything you need help with. They also provide lots of Webinars and free training inside your account plus there are some additional premium training programs like Funnel Hacks and Funnel Builder Secrets which I cannot recommend highly enough. It’s probably pretty clear at this point that I think Clickfunnels is, in fact, the best thing since sliced bread. Building a Clickfunnels membership site – How does it work?